We are committed to providing our customers with affordable and flexible Information Technology (IT) solutions to overcome the challenges found in today’s complex business environments. Netteck is headquartered in Proctorville, Ohio (adjacent to Huntington, WV) where we have the resources, training, and experience to assist you with your digital forensics & business IT needs. 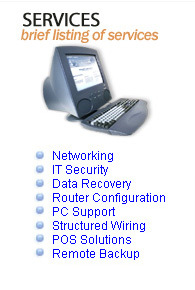 We are also a national provider of hardware, software and managed services. With a primary focus on Digital Forensics & IT infrastructure and service, we understand that finding the most effective method of building and managing your information systems is vital to the success of your business. We understand that every business has its unique requirements. That is why we are dedicated to helping you find the solutions that are right for you, regardless of your business’ size or objectives. Our three key principles of Knowledge, Experience, and Focus, are the driving forces behind our proven track record of being a leading Digital Forensics & Systems Integration provider year after year. Since its inception in 1999, Netteck has established its reputation in being a "trusted business partner," rather than simply a solution provider. Our goal is to develop a healthy, long-term, trusted advisor relationship with our customers.